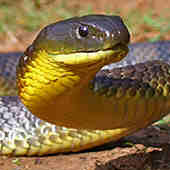 Snakes are one of the most fascinating of animals; unfortunately they have been greatly misunderstood and feared. One of the reasons why snakes tend to have a bad reputation, even among children, is because of the fear that is often unnecessarily instilled into their minds regarding their potential dangers. While there are indeed very dangerous snake species, there are also a large number of relatively harmless, non-venomous ones that would make any child’s day if they ever get to stand face-to-face with one. The best way to educate children is to teach your child about snake safety by visiting black snake productions. One of the best ways to teach your child about snake safety is to allow them to get up-close and personal with one. While there may be doubts as to the overall safety of this feat, professional snake handlers are more than willing to let your children see one these mysterious and beautiful creatures without putting their lives at risk. Some types of snakes are a dwindling species. This is most often due to overpopulation and the loss of their natural habitats, although the fear and stigma placed on snakes by humans also play a very crucial role in the depletion of snake population in nature. Teaching your child about snake safety effectively reduces this stigma, while at the same time opening them up to the diverse wonders that nature has to offer. One of the best places to help teach your child about snake safety and educate them about the greater role of that these amazing reptiles have in nature is visiting Black Snake Productions. Black Snake Productions is a business dedicated to the conservation of rare and endangered wildlife. The business has an entire roster of experienced and highly skilled snake handlers that can guarantee the utmost safety of your child when around these amazing reptiles. Of course, getting to know snakes up-close wouldn’t be complete without getting a glimpse of some of the popular venomous ones. At Black Snake Productions, the expert snake handlers and top-notch facilities ensures that both children and their parents can get to see even the venomous varieties of snakes safely, without putting anyone in harm’s way. But the fun doesn’t stop there!